Home Lifestyle Will Jeans Ever Go Out Of Fashion? Will Jeans Ever Go Out Of Fashion? It's a question that's often bandied around the fashion world. What is it with denim jeans? Why have they endured so long? To learn more about their popularity in the present, or even the future, we have to look at their past. 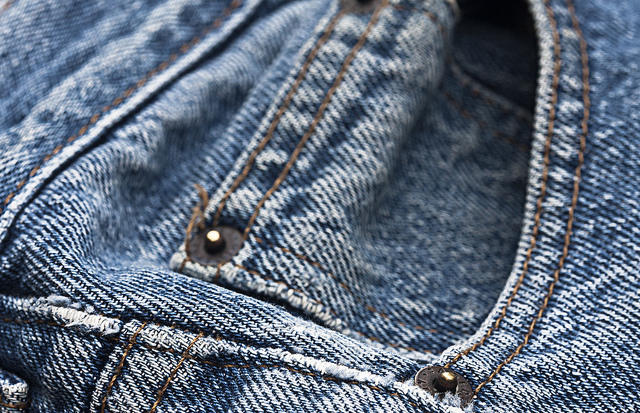 Denim had been around a while before it had been used as workwear. The tough, durable fabric made it the ideal choice for workers, particularly in the US. Denim overalls and dungarees were shipped in their thousands to cloth railroad workers, or would be sent out to outposts to sell to prospectors and ranch hands. SEE ALSO: How Long Can A Pair Of Jeans Actually Last? It was Levi Strauss & Co that made the first actual jeans, by taking away the top part of their denim overalls. This was the company's first ever Levi 501s, jeans that are still made to this day. These jeans have been the blueprint for the standard jeans for most manufacturers ever since, but if that was the only kind of jeans you could buy, would you still buy jeans? It's not like the sale of jeans was massively dented by alternative leg wear worldwide last year, but 2012 did see the return of the chino for more fashion conscious buyers. These lighter, cotton trousers gained a resurgence after the want for all things Eighties reached a peak. Chinos were beginning to become a staple in men's wardrobes last summer, but the popularity hasn't held as strongly as was assumed. What was true, however, is it reminded people that there are alternatives to jeans. Chinos were just the first step in that 're-education', and showed people that there were other materials out there besides denim or synthetics for sportswear. This dent left by chinos has probably done more to invigorate the jeans industry and improve its longevity. How? Because jeans don't have to me made from denim. Jeans lines from major designers have taken this on board, so expect to find jeans made from hemp, calico and canvas in 2013. This isn't a new concept, but the market is ready for the rediscovery. In our immediate future, jeans are an integral part of the fashion skyline, and it seems they'll never go away. Like all fashions, they come and go, so how is it possible to predict what will happen further into the future. Perhaps our best example of evolving fashion is the bowler hat. Hear me out! The bowler hat was originally designed for a job, in this case, the British armed forces in 1949. It was adopted by the working classes of the time. As the decades passed, the bowler hat was massively popular among the middle classes as the working classes were starting to forego headwear worn out of social constraints entirely. Eventually, as formalised hats became less popular, the bowler seemed to die out completely. However, in the last two years there has been a small resurgence in the wearing of older, formal hats, albeit in an ironic, hipster way. It just needs to latch on enough, and the bowler could well be adopted again, with the outfits to match. In 300 years time, our over-populated world might have forgotten all about the standard denim jean. Until, out of the smog of an busy, neon-lit side street walks a man that appears anachronistic to those around him. He stops to buy a pre-processed 'meat' snack from a street vendor's hovering cart. “What are those?” says the vendor, looking at the man's legs. Peter Shorney is a keen blogger with an interest in fashion trends and the future of textiles.